Suitable for industrial, food service or recreational applications. Provides sure footing from water, grease or oils. 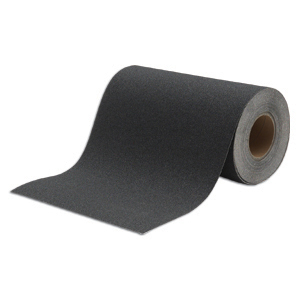 Safe traction is assured with this tough adhesive-backed grit surface. Mineral particle surface on adhesive Mylar backing. Carbide grit surface. Available in Black. 1/16" thick. FOB Shipping Point.